To celebrate Father’s Day 2018, Manalapan Montessori is hosting “Donuts for Dad” Friday, June 15, 2018, from 6:30AM – 10:30 AM. Fathers, uncles, grandfathers, and all the father figures in our community are welcome. 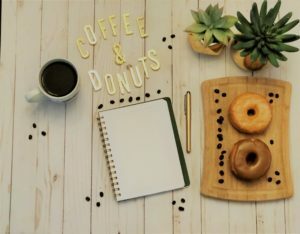 Enjoy coffee, bagels, and donuts before work! Don’t forget to visit us on Facebook and our Instagram page. Like and follow! This entry was posted in Celebrations, Holidays, Montessori Manalapan NJ, Montessori School, Special Events and tagged donuts for dad, Father's Day 2018, manalapan montessori, Montessori Dads. Bookmark the permalink.